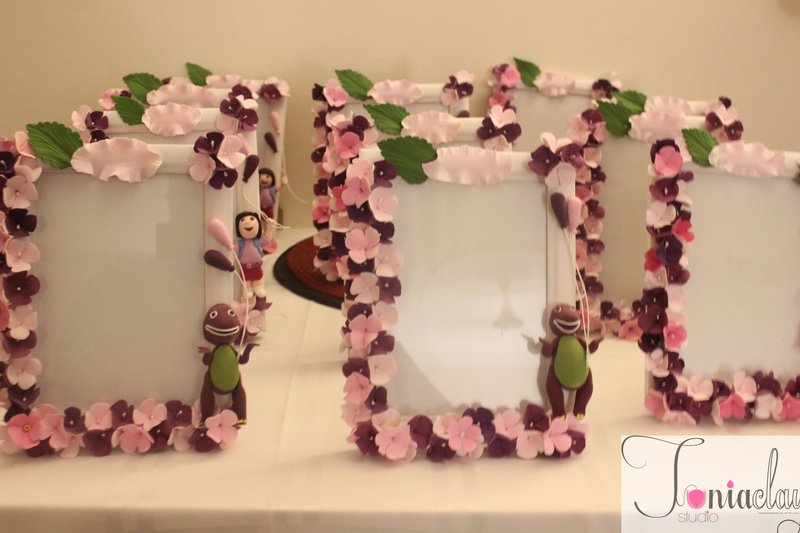 It’s a shared family joy to go through old pictures and share stories with our kids, tag friends of our special times. 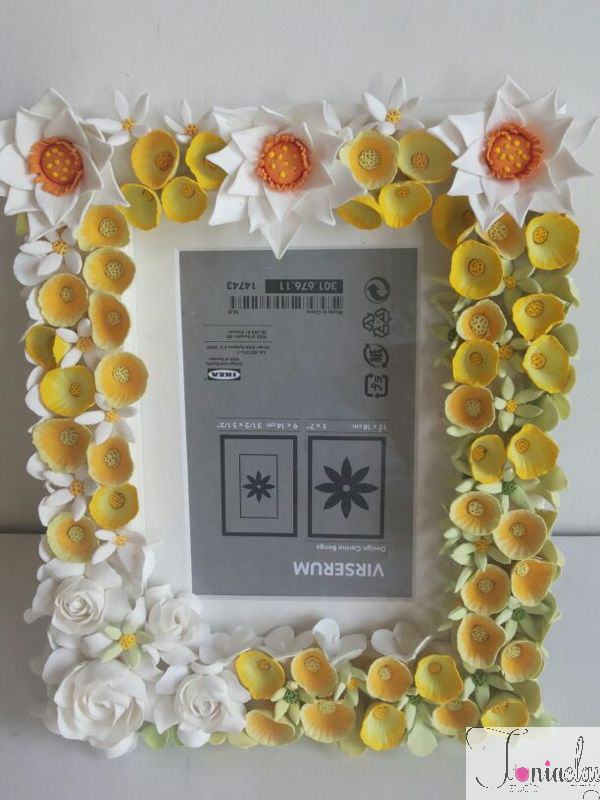 We all experience “wish it could last forever moments”. 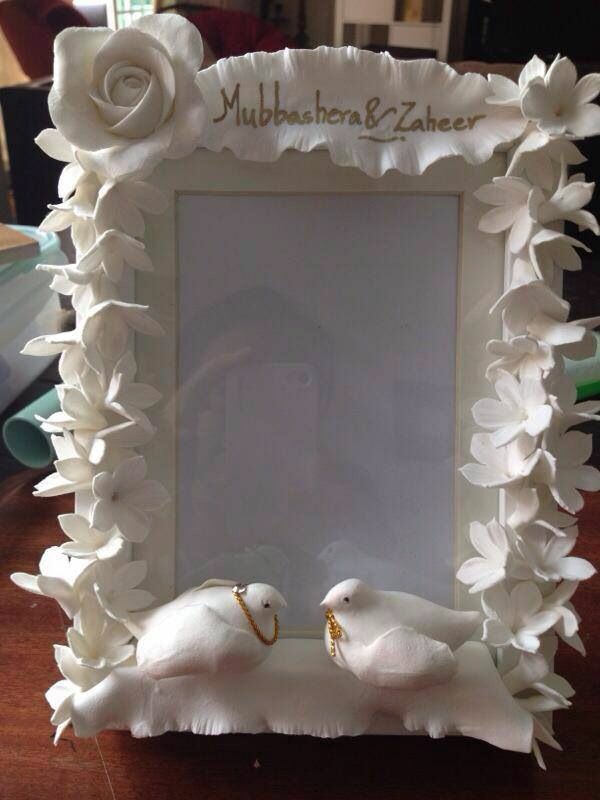 It overwhelms us. 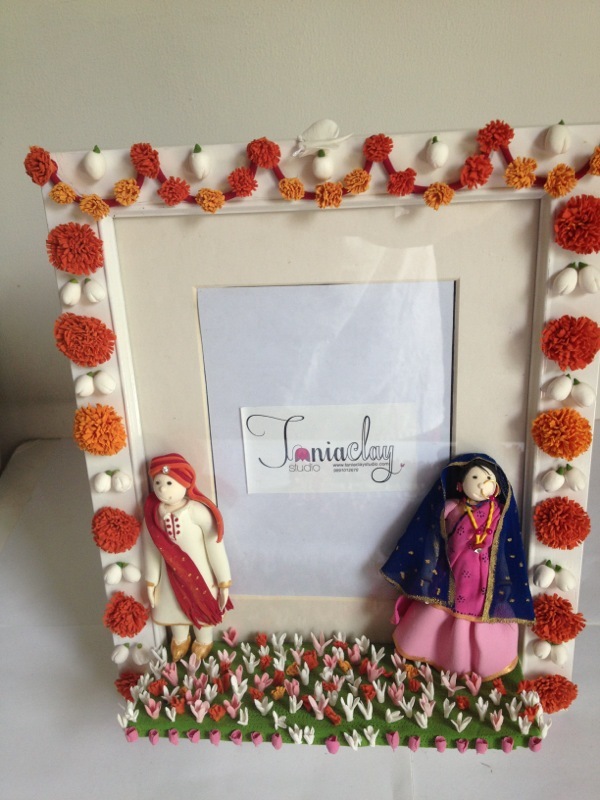 We capture these moments as” Today’s little moments become tomorrow’s precious memories.” They tell our story. 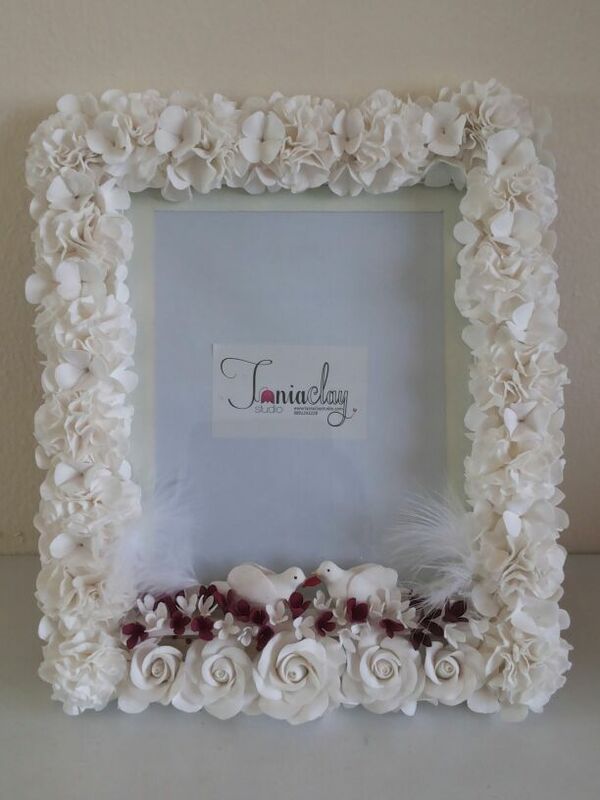 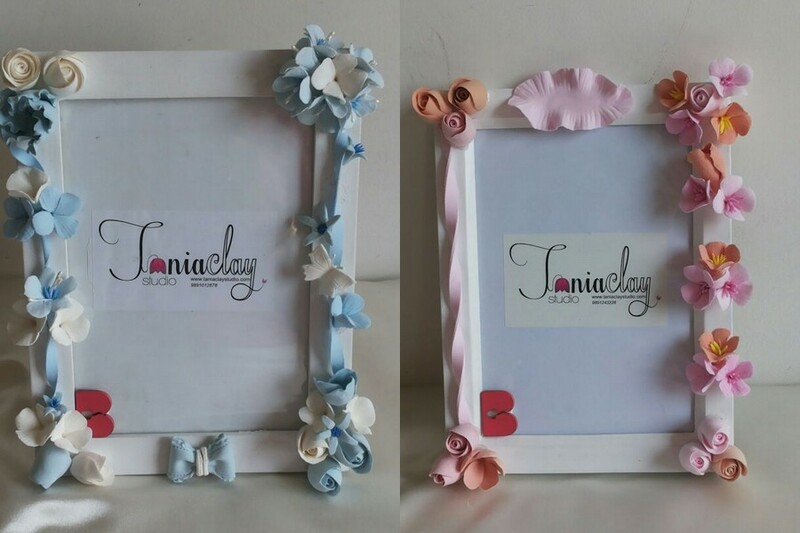 Tania Clay Studio frames will make your magical moments a treasured possession. 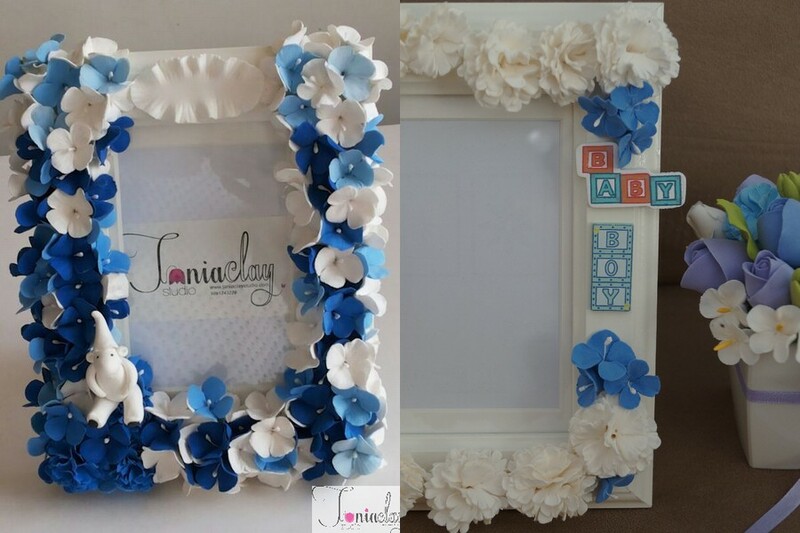 Our Picture frames – Floral frames and Figurine frames will make your photographs shine through and rewind your happiness. 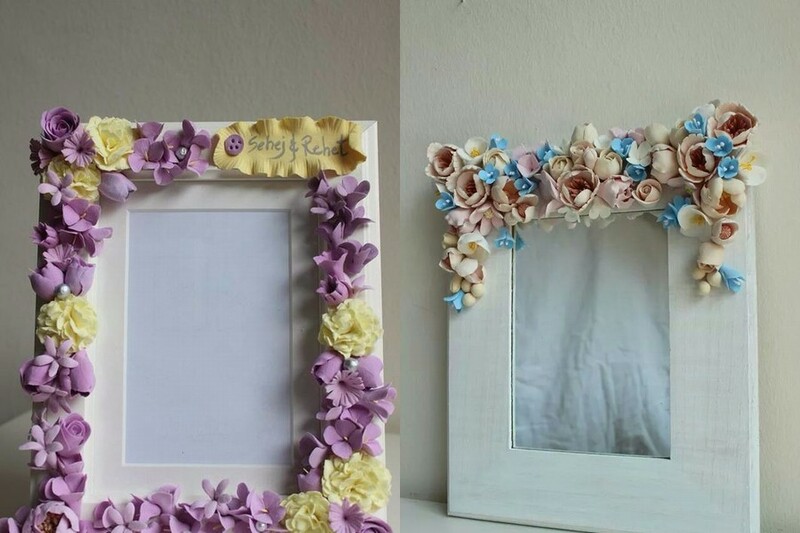 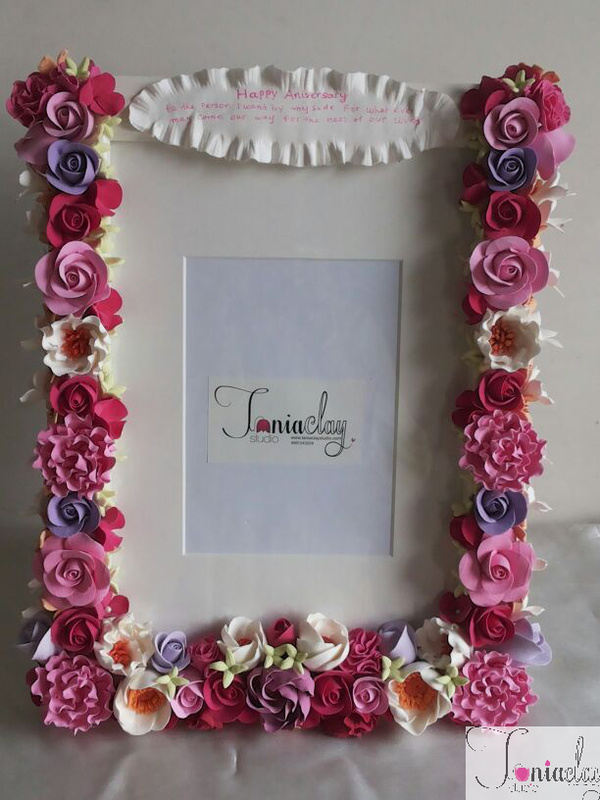 This blog is dedicated to our floral frames as they have been show stoppers in every house that own them. 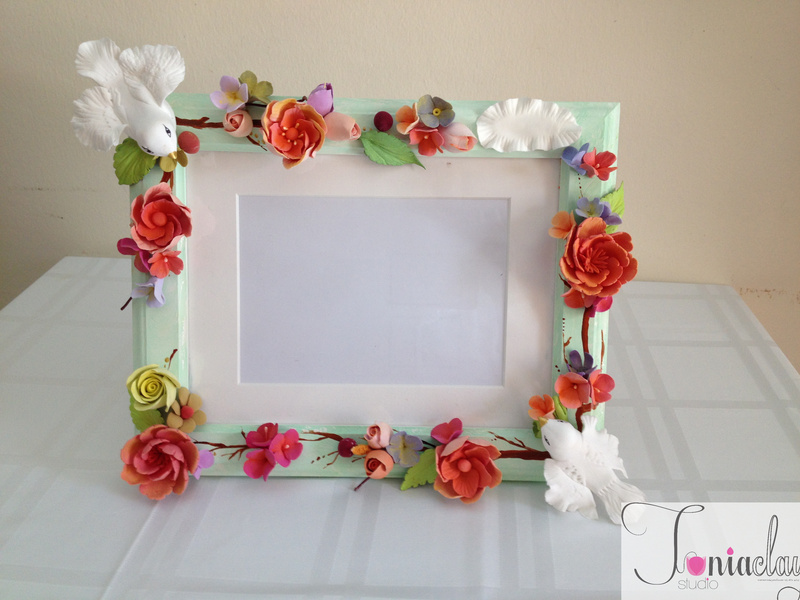 All the flowers on the frame are set with a handmade glue, made of mod podge called lark. 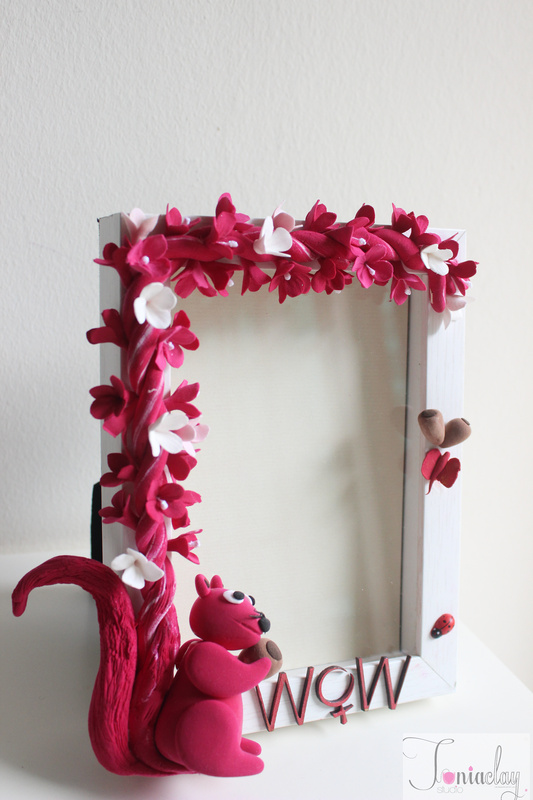 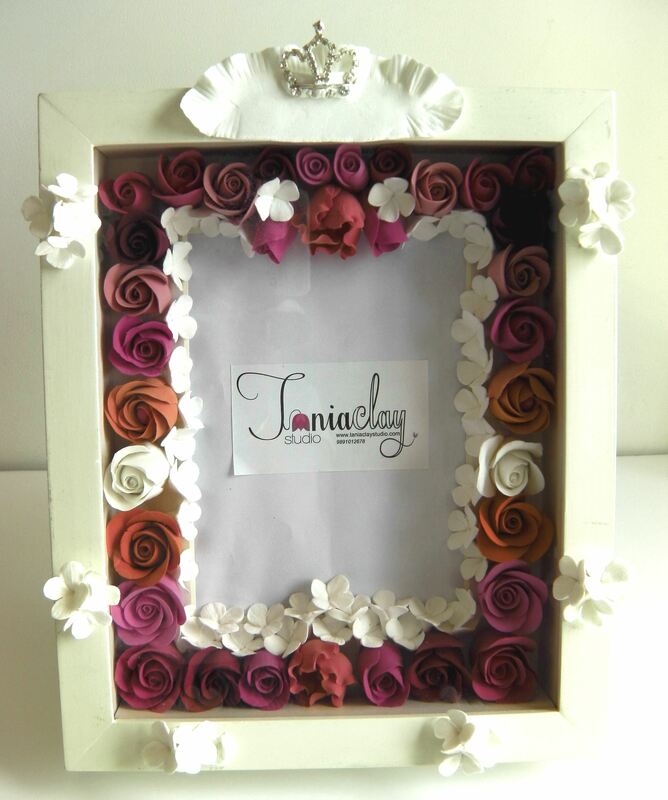 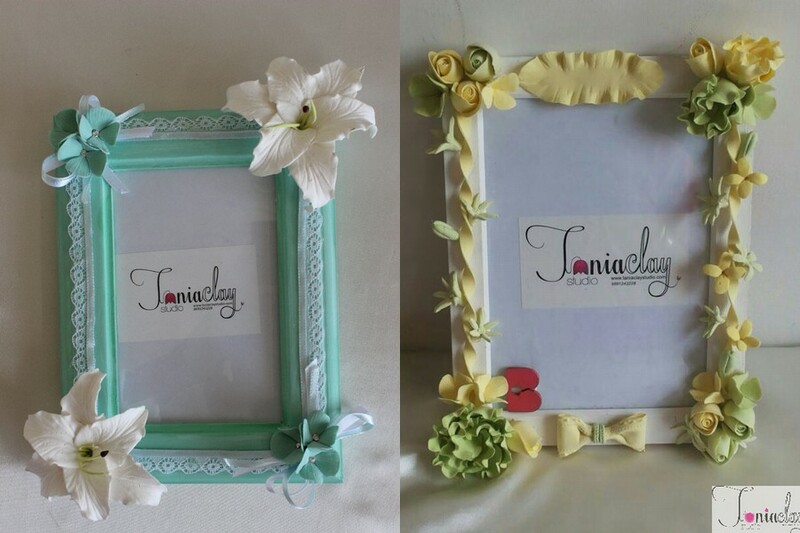 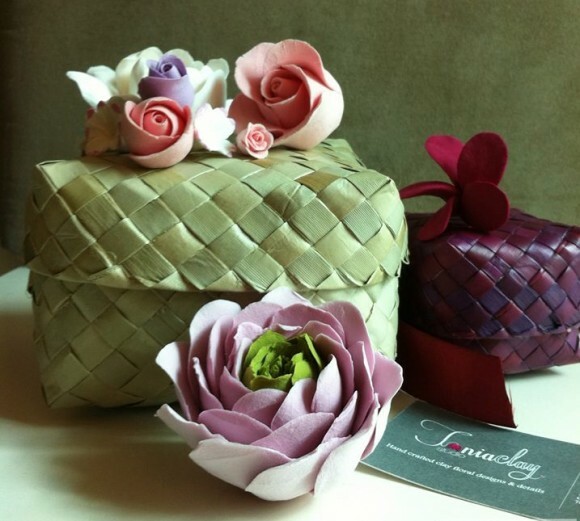 All our clay creations including the frames can be customized to any occassion or event. 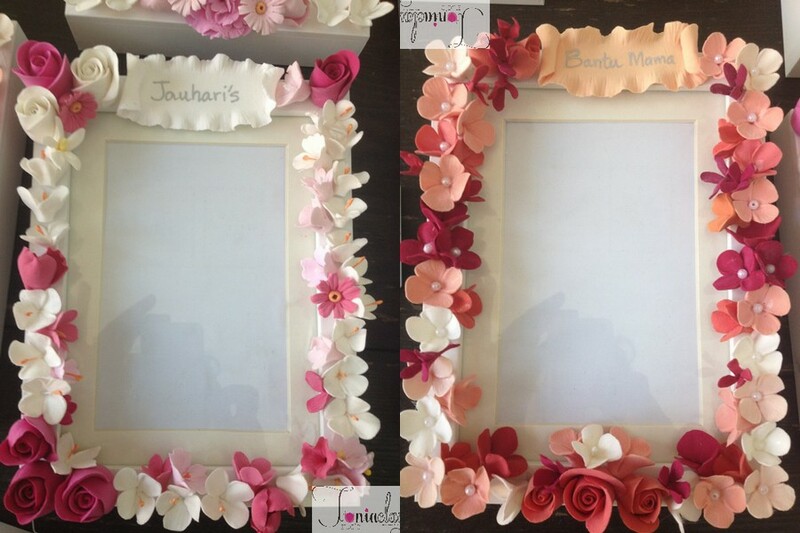 Dates of those special moments, names can be etched to help you reminisce the event. 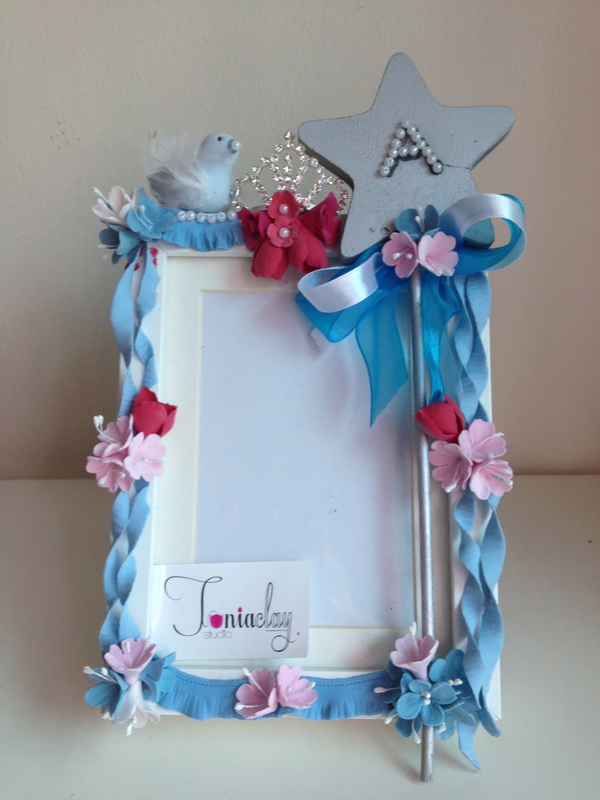 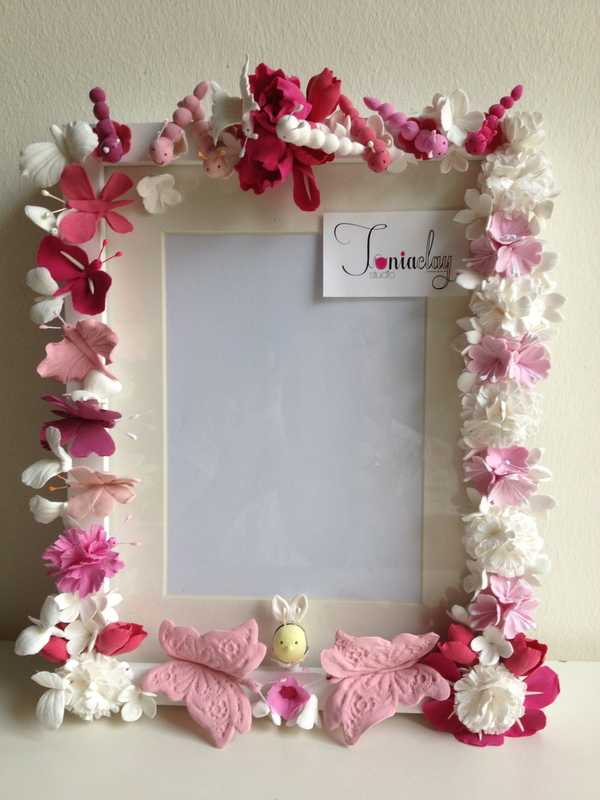 Small flowers, characters and bows with name tags add sparkle to our baby shower and kids birthday frames. 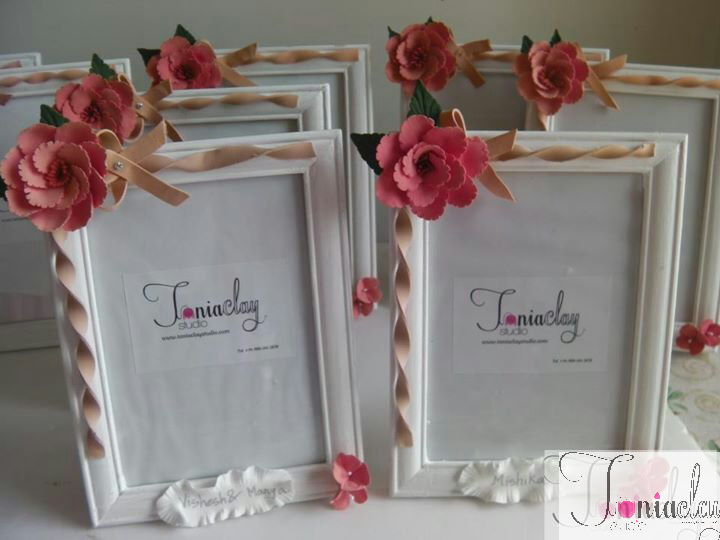 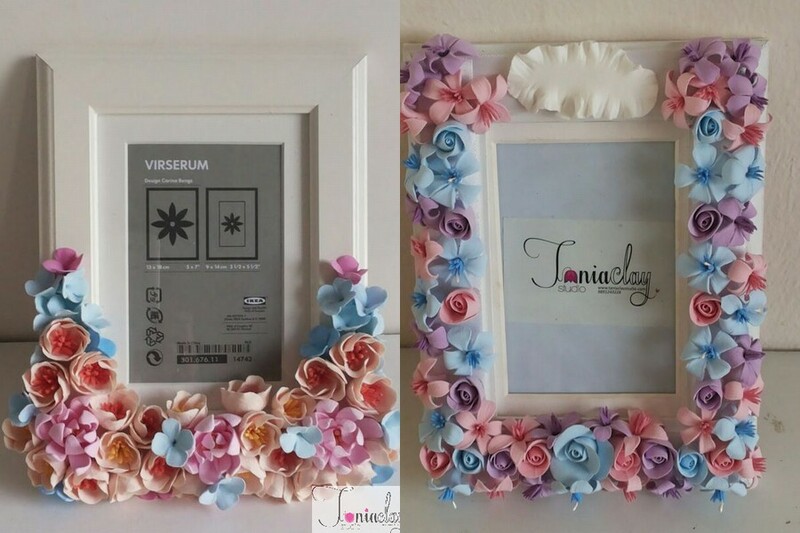 Our boxed floral frames have been used as an invitation card for birthdays and anniversaries. 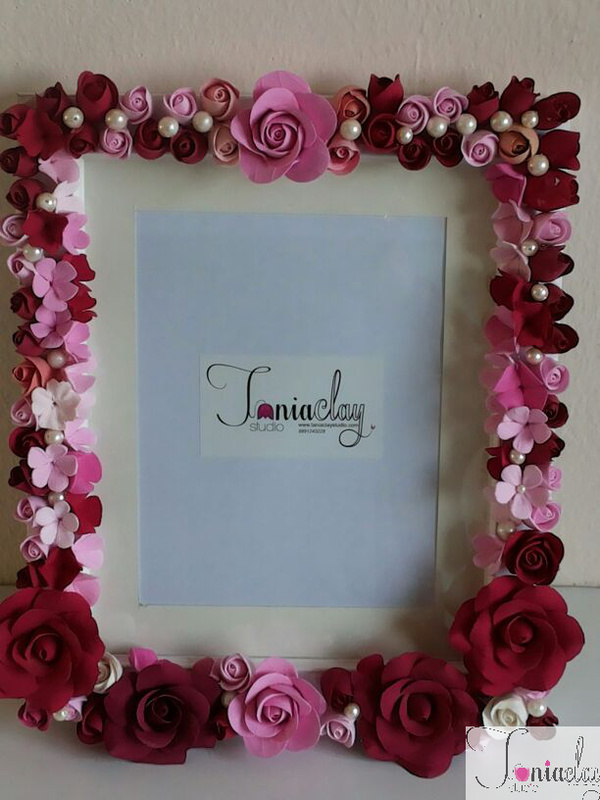 An art piece by itself, the frame gives a varied look to its surroundings. 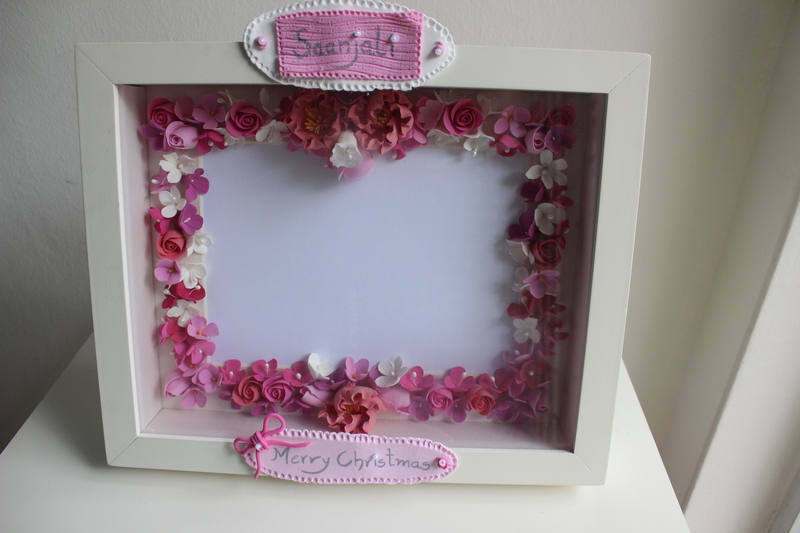 Our photo real flowers might tempt a bee or two..
With so many floral frame offerings, its time to find the joy in your life and capture it.